Two-digit inflation rate for fifth year in a row in an indication of failure of the anti-inflation policy by current government, which is unable of providing price stability. 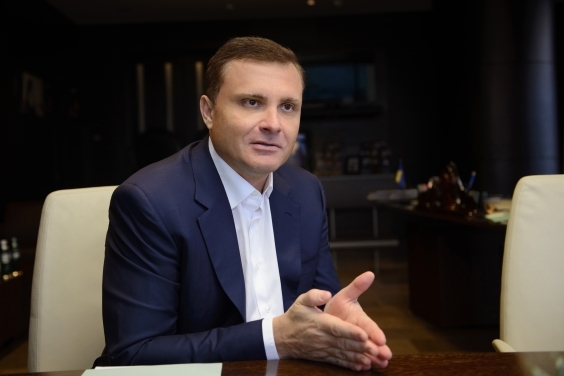 This was announced by MP Serhiy Lovochkin, Opposition Platform – For Life member in reaction to a November report by the State Statistics Service of Ukraine on 12-months price increase by 10 percent. “Currently, the National Bank forecasts inflation level to go up by 10.1 percent as of the end of 2018. This means the prices have been increasing by two-digit rates for fifth year in a row. And this is the failure of the policy by the government, which is unable of providing price stability,” Serhiy Lovochkin stated. The politician noted that the highest increase in price has affected the most essential foods and services for the Ukrainian people. Since early 2018 (compared to December 2017), bread prices have gone up 19.6 percent, pasta products prices have increased by 12.4 percent, fish and fishery products by 10.9 percent, vegetables by 9.7 percent, meat and meat foods by 9.2 percent. In addition, due to natural gas price increase by 22.9 percent and other utilities getting more expensive, the utility service bills for consumers have gone up by 9.9 percent over 11 months. Education services are now by 13.3 percent more expensive compared to early 2018, communication services — by 13.8 percent, and healthcare services by 8.1 percent more expensive. “High two-digit inflation rates remain one of the core reasons behind the growth of poverty level in the country. Price increases negatively affect income and savings of the least protected categories of citizens. Over the course of 2014–2018, the prices have increased by 2.5 times in total, while subsistence rate and minimal pension payments have increased by only 58 percent, and average pension payments by 70 percent. All these factors have caused a two-time increase in absolute poverty level in Ukraine over 2014–2017, as assessed by the government itself,” the MP said. Lovochkin noted that Ukraine would keep its leadership positions in Europe (Turkey excluded) in terms of yearly inflation rate in 2018, which is almost 4.5 times higher than the average EU rate. While prices in Ukraine went up by 10 percent in November 2018 (compared to November 2017), Poland saw a 1.2 percent rise, Czech Republic — 2 percent, Lithuania — 2.5 percent, Hungary — 3.1 percent, Romania — 3.4 percent increase. In terms of inflation, Ukraine looks worse compared to CIS countries: inflation in Russia is at 3.8 percent, in Moldova 0.9 percent, in Belarus — 5 percent. “Never in this century has Ukraine been at the bottom of the list by all indicators, as it is now. It’s obvious that the worst social and economic indicators are the sign of the worst government that we have. Opposition Platform – For Life has aimed at replacing this government, and we’re going to achieve this goal. So that Ukraine stops being the worst and Ukrainians are no longer beggars,” Serhiy Lovochkin summed up.